Two superb events this week. 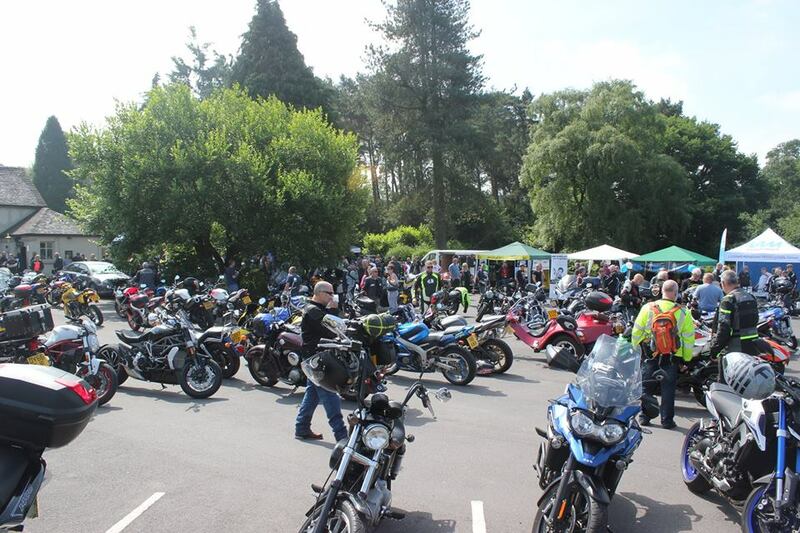 Firstly we had the first Bikers Breakfast of 2018 at loggerheads & then the Young Bikers barbecue at LDC in Burton. 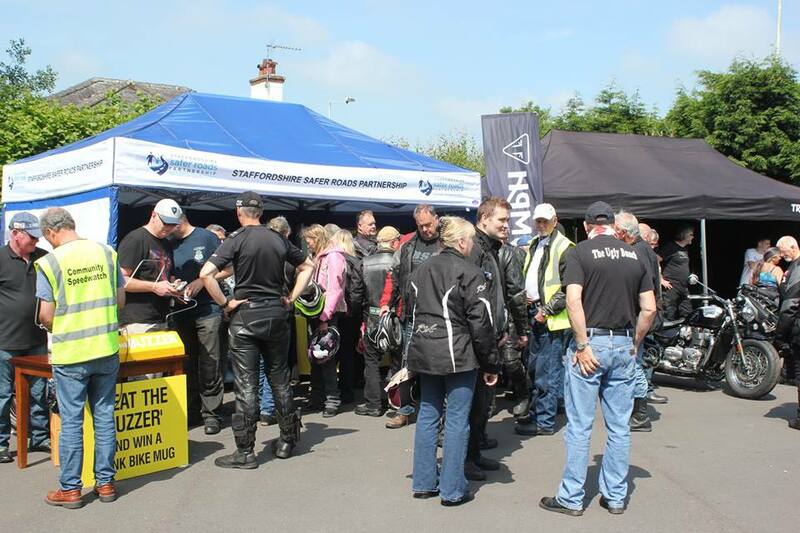 We gave out copies of the 2018 Stafforshire Biker Booklet, along with pens, “Think Bike” stickers & merchandise & even had plenty of interest in the Biker Jack mobile app & video’s, as well as people signing up for Bikesense & not forgetting the buzzwire which also proved popular with plenty of bikers winning an exclusive Think Bike mug. 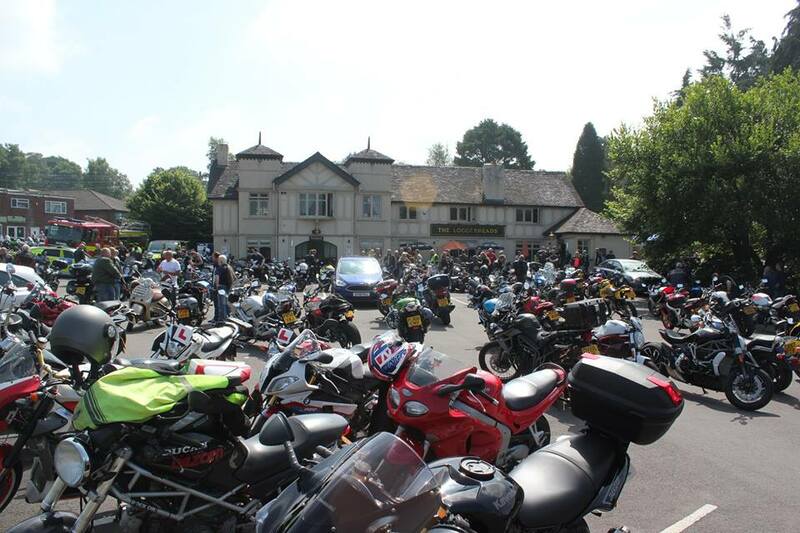 Fantastic event at loggerheads, over 700 bikers attended. if you didn’t fill in the survey, here is the link. Bring on Chasewater! 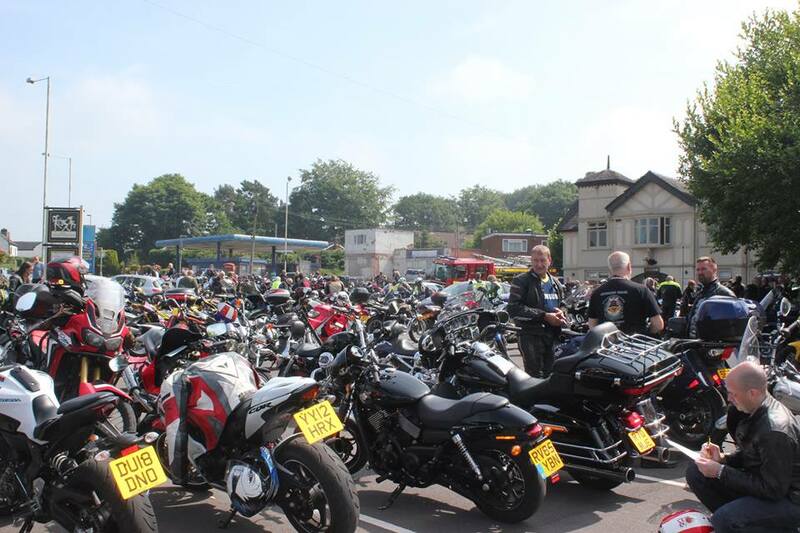 Next Bikers Breakfast – 24th June, with some classic bikes & vintage motorcycles as well. 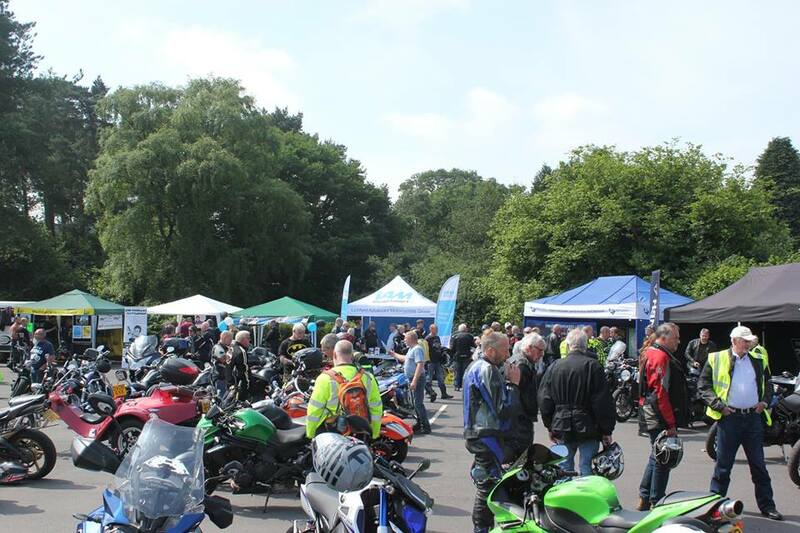 You can see, plenty of interest in the stands & support already, as well as the bikes. Lots of bikers just stopped to look at the bikes & to see what was going on when passing by as well. 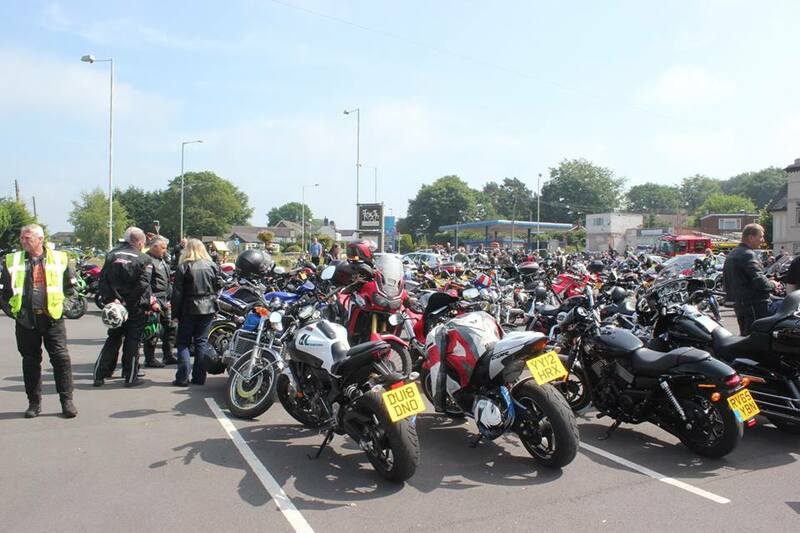 The glorious weather brought a lot of bikes to the event, from all around the area. 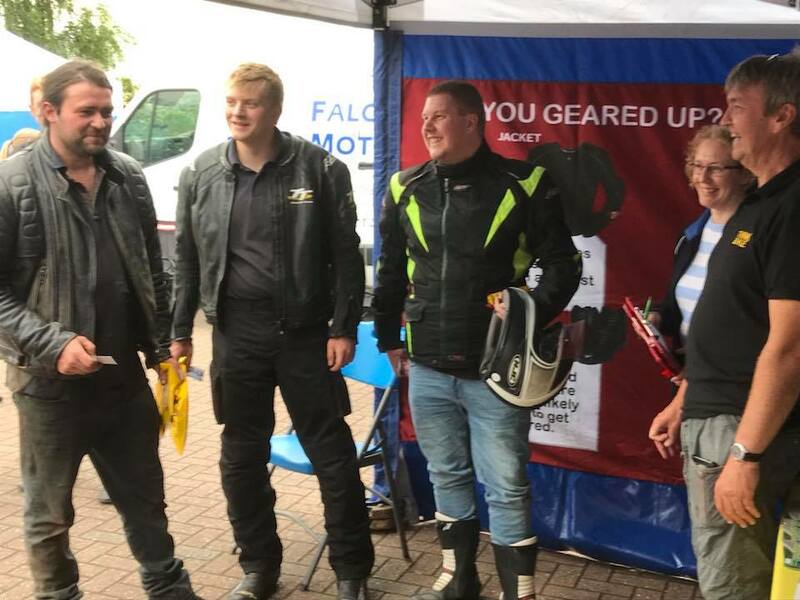 Young Bikers Barbecue – LDC, Burton. Wednesday evening. 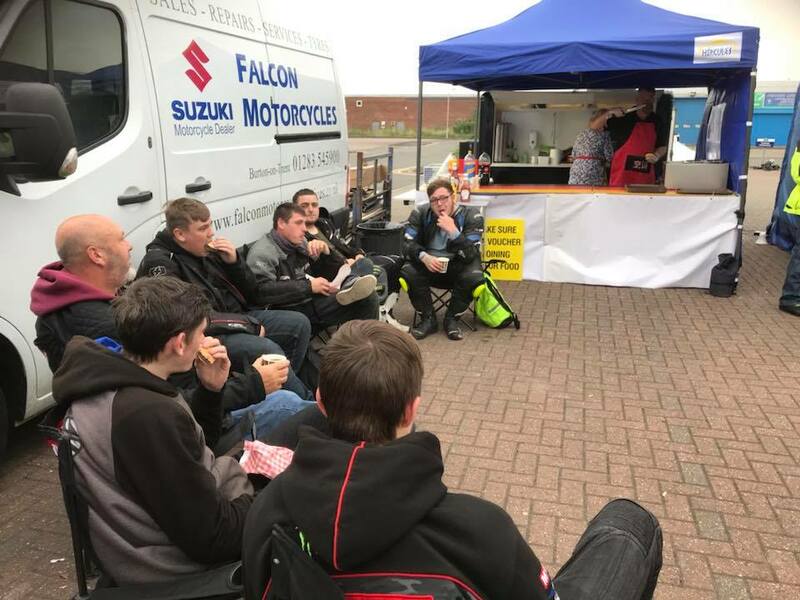 Our second young Bikers barbecue of 2018 was held at LDC in Burton on Trent. The Barbecue is lit, the early arrivals then got stuck into a burger & discussed their biking adventures. 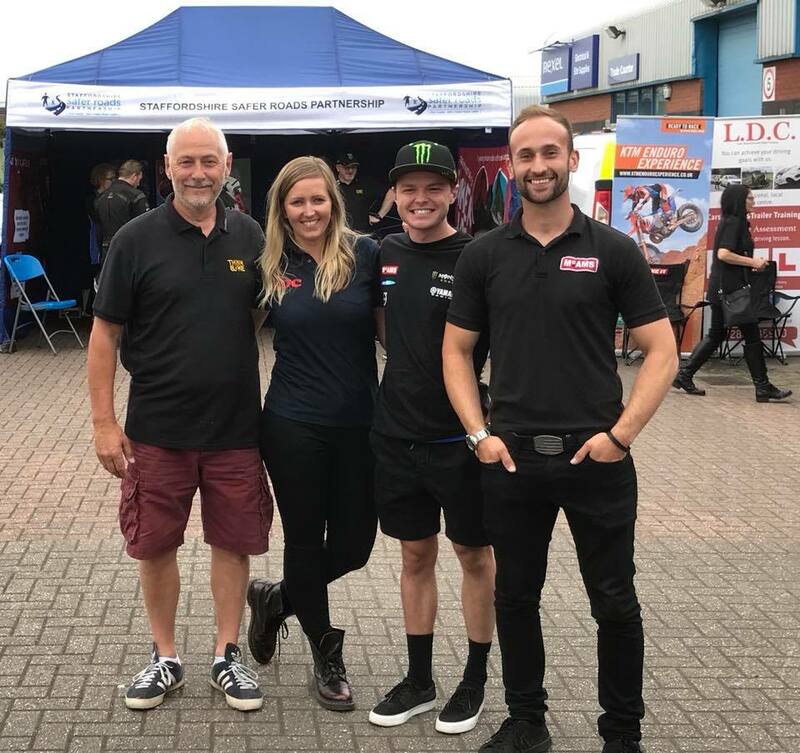 Tarran McKenzie was on hand with the McCams team for selfie’s & autographs. 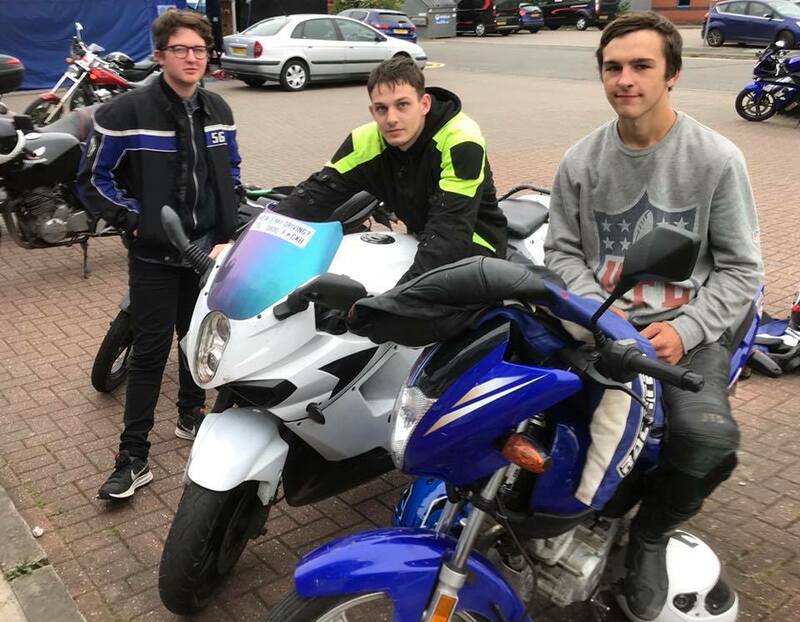 Many young riders came in small groups with pals & even made some new friends. 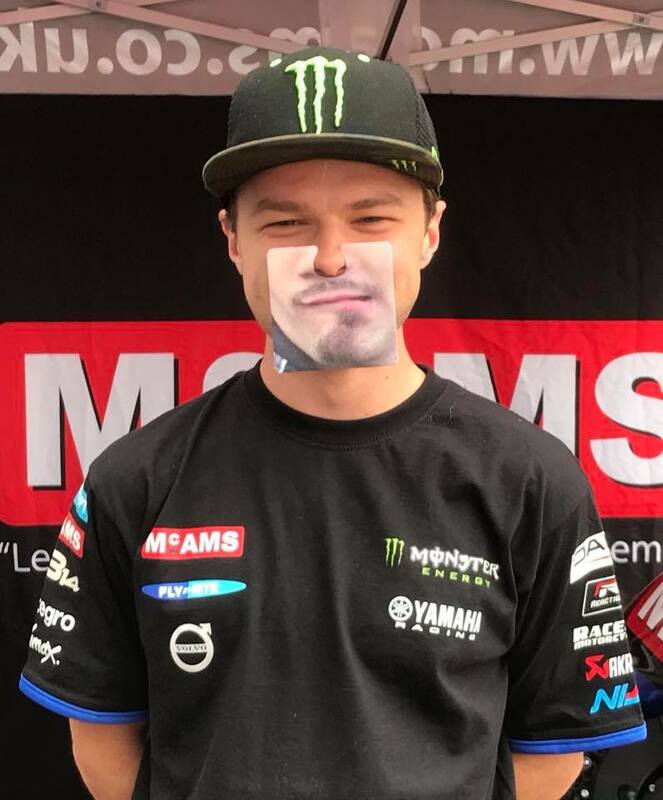 BSB star Tarran Mckenzie found one of the facemats so we took the opportunity for a snap.